The European Union “LIFE” programme has provided funding for Coquet Island to support the work there to protect and support them and to enhance the habitat to make it perfect for roseate terns. The island is the only place in the United Kingdom to support a colony of these special and rare seabirds – in fact they are the rarest nesting seabird in the UK. Part of the safeguarding measures is to minimise disturbance as these terns are very timid. Hence landing is not permitted by the general public and staff that work there have to be specially licensed by Natural England in order to carefully carry out the protection and monitoring on the sanctuary. 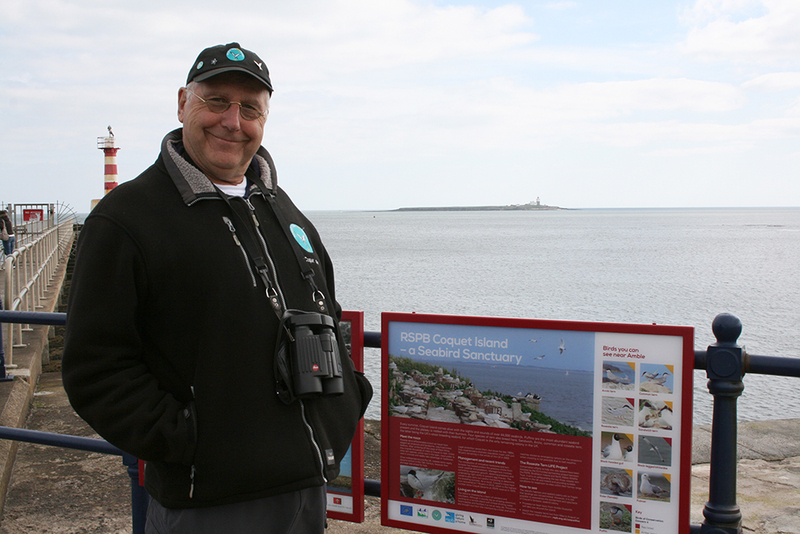 Paul Morrison, the RSPB Site Manager for Coquet Island, helped to choose the location and explained “In order to share the wildlife splendour on Coquet with the general public, the LIFE programme has funded the production of an interpretation panel which has recently been erected at the end of the south pier so that locals and visitors can pause and read about the special nature reserve just off-shore”.